I have finally had time to finish my quilt back. I’ve spent a lot of time reading and learning about making quilt backs the modern way. There are some good sites to help you and give you some good ideas. 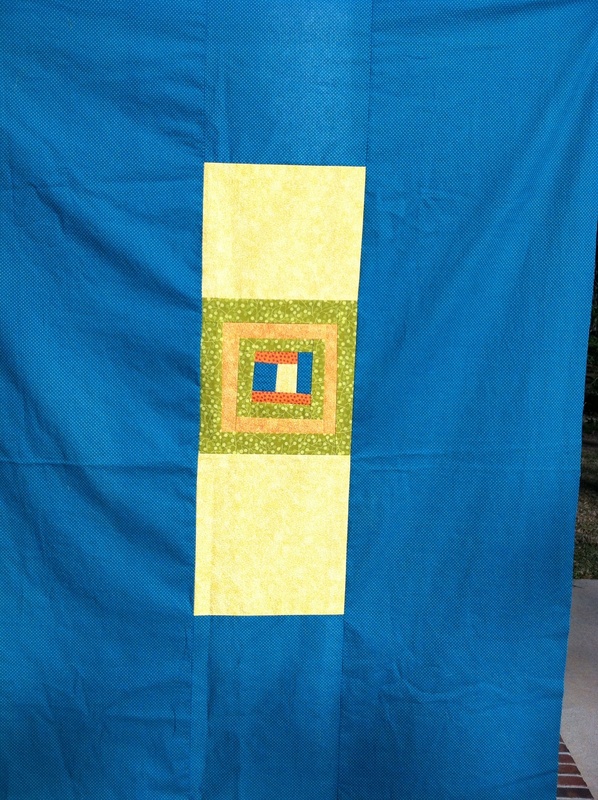 This Craftsy free class is all about putting your quilt together and includes a good lesson on quilt backs. Here is the back of my quilt. I made one block that looked a little more wonky than the rest. So, I used it on the back with a pop of yellow. Now, I’m going to put it together. I found two sites that I enjoyed reading. One is Craftsy blog on spray basting and the other is the Missouri Star site. This entry was posted in Uncategorized and tagged Beginning quilting, Craftsy, Missouri Star, Modern Quilting, quilt backs, spray basting quilts. Bookmark the permalink. Thanks, I hope to finish it next week. Love your quilt back. Can’t wait to see it finished.